(May 3, 1945) -- Sgt. 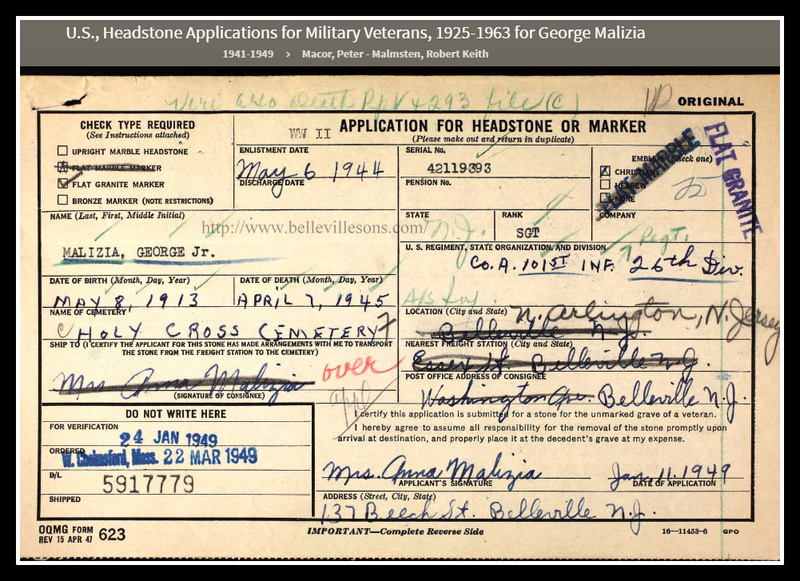 George Malizia was killed in action in Germany on April 7, 1945. Born May 8, 1913, Malizia entered the service May 6, 1944. He served with Company A, 101st Infantry, 26th Division, and had served in England and France. He was the son of Anna and George Malizia of 107 Conover Avenue, Belleville, N.J. He is interred at Holy Cross Cemetery, North Arlington, N.J.